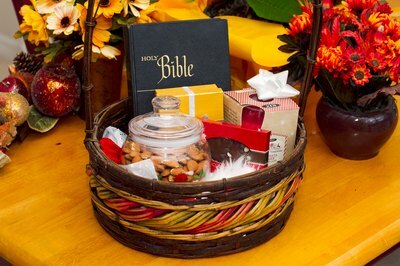 Gift baskets allow you to avoid giving an unnecessary gadget or another plaque to your pastor. They can be filled with small, meaningful and useful items. Pastors serve their congregation and community all year-round. Whether it is your pastor's birthday, anniversary or pastor appreciation week, individuals who have been a recipient of the pastor's devotion can show their love with a gift basket. Write notes that tell the pastor how much you appreciate him. Include specific incidents or reasons why he is important to you. Have everyone in your family write notes or draw pictures. Invite the congregation to join you in filling this basket. 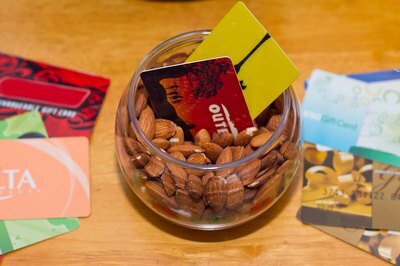 Secretly ask the congregation to bring a gift card for the pastor. You can also inquire at local businesses for donations for the pastor. Collect the cards along with any menus or information regarding the business. Place them all in a basket nestled with the pastor's favorite candies or nuts in their shell. Food is a classic gift basket choice. Choose a theme for the basket, such as an Italian meal complete with a loaf of crusty bread, sauce, noodles and cheese, and wrap it all in a table cloth. 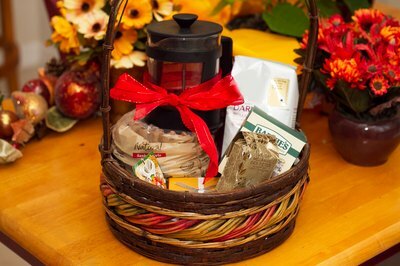 Fill a basket full of chocolates, fruit or surprise your pastor early one day with a basket full of breakfast items, such as homemade muffins, jam, coffee and teas. Choose practical items that your pastor can use. Replenish her favorite personal care items, such as hand lotions, perfume or mints. 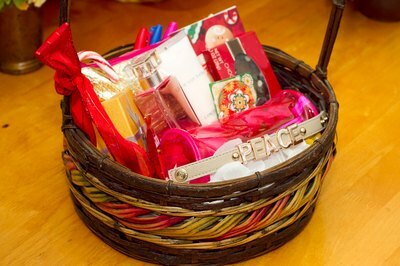 You could also focus on her home, office or car with consumable items that will be appreciated. Consider basic items like batteries, pens or stamps.